Buried in plot no. 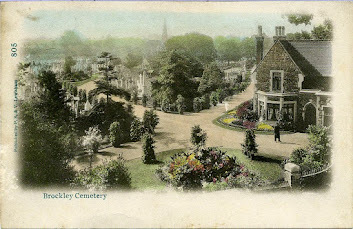 1878 of Ladywell Cemetery lies Horatio Henry Couldery. 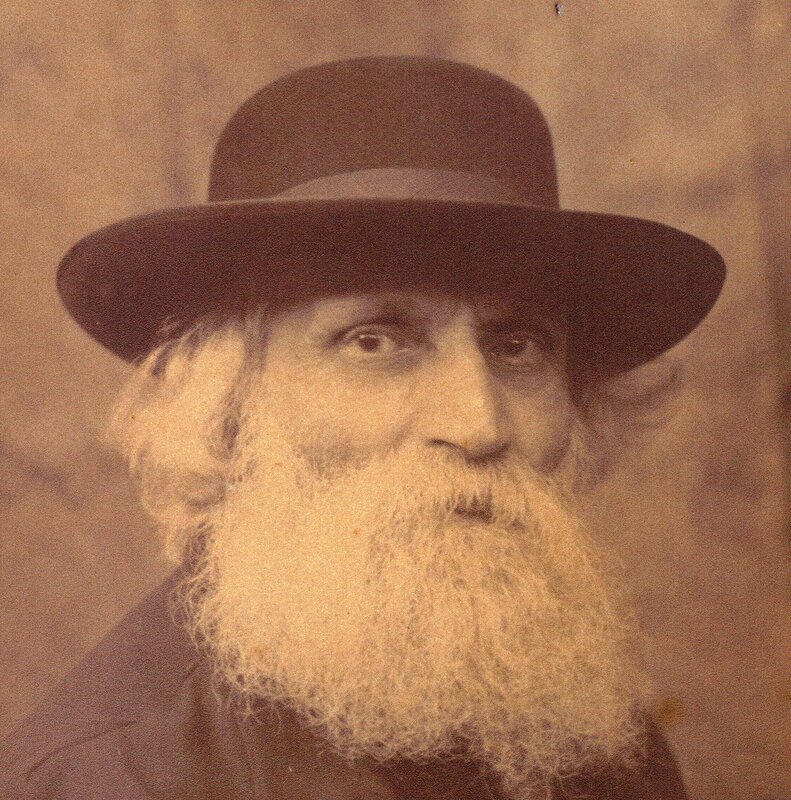 He was one of the best known Victorian painters and the FOBLC has been contacted by his great granddaughter Rosemary James with this account of his life. 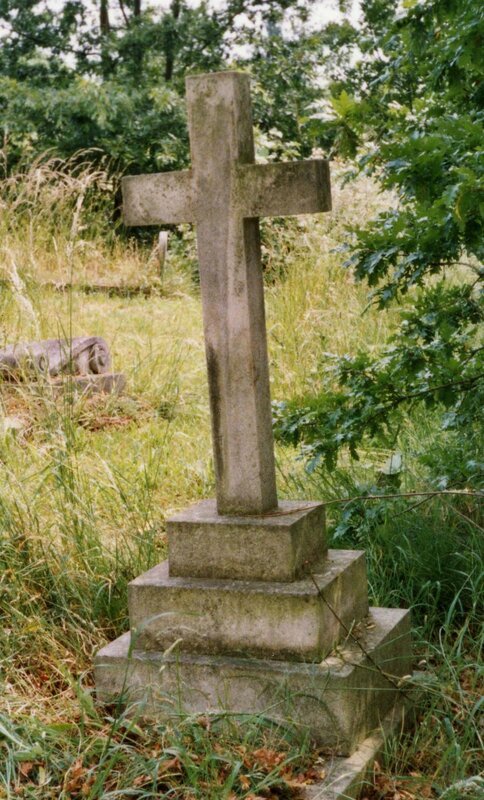 Horatio Henry Couldery was born in Lewisham in 1832 and christened at St. Mary’s Lewisham on 23 December 1832. He was the fourth of nine children of Robert Hall Couldery, and Lydia Frances nee Ruegg. Horatio was originally apprenticed to a cabinet maker but following in his father’s footsteps, he realised his true vocation when, at the age of 23, he entered the Royal Academy Schools. He specialised in painting animals and was nicknamed ’Kitten Couldery’ because of his many feline paintings but he also painted dogs, ducks, pheasants, rabbits, mice and fish. . He exhibited many of his works at the Royal Academy of Arts in London between 1861 and 1892. 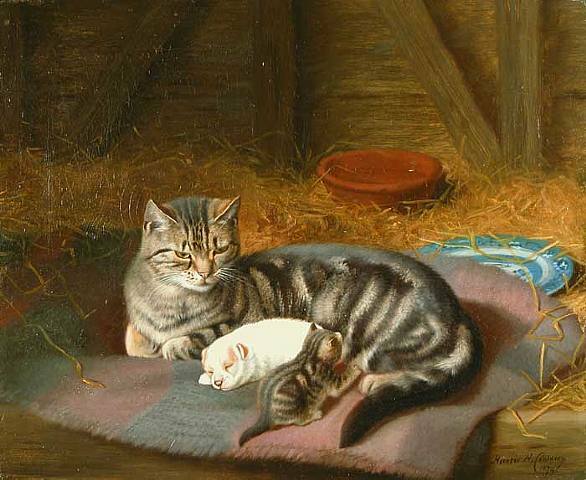 Horatio was a prolific painter and his paintings reflect the typical late Victorian style with dark backgrounds, vignette settings and a real love of animals. His works were often used to illustrated children’s books and many of his paintings more recently have been used on greetings cards. In 1875 Horatio attracted the attention of the art critic John Ruskin who commented that one of his paintings entitled ’ A Fascinating Tail’ exhibited at The Royal Academy was “ quite the most skilful piece of minute and Dureresque painting in the exhibition, which could not be rightly seen without a lens and unsurpassable in its depiction of kitten meditation". Glanmore Museum in Belleville, Ontario maintains the largest public collection of his work in the world (about 42 I believe), beautifully restored. I have visited the Museum and it’s a truly wonderful place housed in a Second Empire style building. Do go there if you are in Ontario. Despite his incredible talent, like many artists in their lifetime he did not become wealthy and when he died he died his estate was valued at £250! 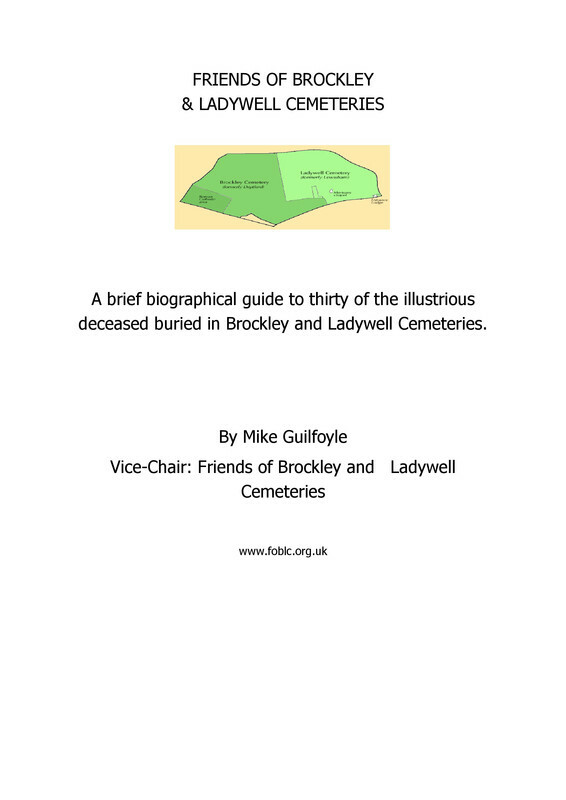 He lived at various places including 50 Rathbone Place W1, 1 Campbell Villas, Lewisham, Maud Villa (where he died) and also Elizabeth Villa in Addington Grove, Sydenham. Sadly the last two places are no longer there. Rosemary has also researched other relatives including her great great grandfather Robert Hall Couldery. If anyone knows of the Coulderys she would love to hear from them and is happy to provide further information, copies of certificates and photographs.